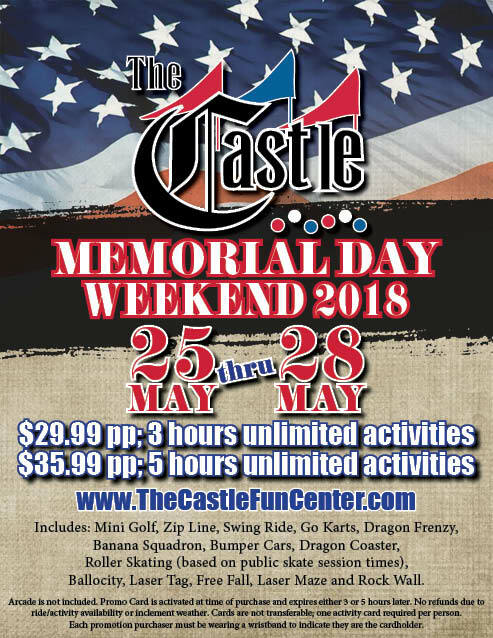 2018 Memorial Day Weekend Promo! 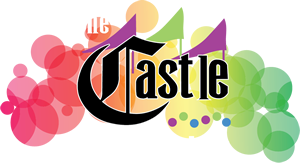 Includes Mini Golf, Zip Line, Swing Ride, Go Karts, Dragon Frenzy, Banana Squadron, Bumper Cars, Dragon Coaster, Roller Skating (based on public skate session times), Ballocity, Laser Tag, Free Fall, Laser Maze and Rock Wall. Promo Card is activated at time of purchase and expires either 3 or 5 hours later. No refunds due to ride/activity availability or inclement weather. Cards are not transferable; one activity card required per person. Each promotion purchaser must be wearing a wristband to indicate they are the cardholder.